NICI-Mania is proud to present to all the NICI fans around the world our cute NICI wallpaper for your computer desktop! This is our latest project and we will be making lots of wallpapers from pictures of our NICI plush toys in the future! 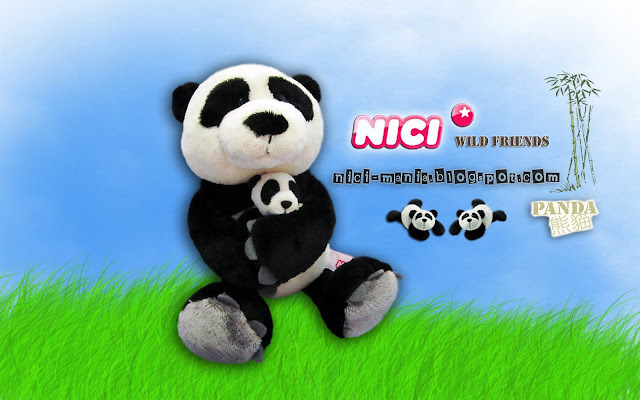 We will start with NICI Germany’s latest soft toy Panda Fu Bao. Notice the similarity between the panda's picture below with our NICI Panda Soft Toy blog post earlier? 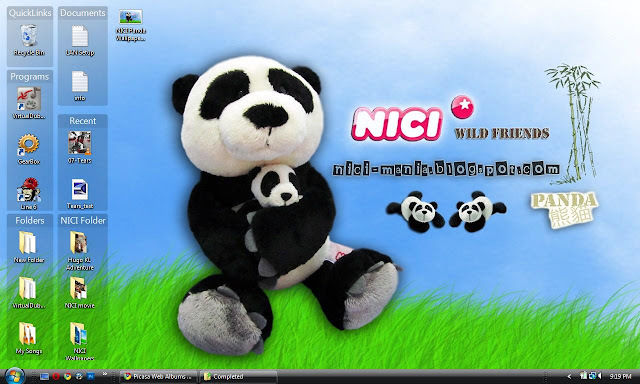 NICI Panda wallpaper preview on 1280x768 widescreen LCD monitor. We will be continuously updating you with more NICI wallpapers, so stay tuned and don’t be shy to comment below (no registration on any account required) or contact us if you want to make request for wallpapers of your favorite NICI plush toy!